Note: This post is updated as of November 18, 2018, to reflect changes I have made in my strategies. A couple of days ago, I posted an update on my 2017 New Year’s resolutions; particularly, my work to organize my physical photo collection. Throughout this year, I’ve also been working on my digital photo organization as I liked what I was doing with my physical items and transferred the concept to my digital photos. Our Family (photos from the time I met Kalonji and of our nuclear family with our 5 kids). Here is the inside of the “Our Family – 2018 / 2017-02_February” folder. My individual file names also start with the year, two digits for the month and if I know it, the exact date. I try to put descriptive text for the rest of the file name, but when I take multiple pictures for one event, I give them all the same name and use two digits to number them at the end (e.g., 01,02,03). The reason to use two digits is for proper sorting once the number goes into two digits. For each photo, I add IPTC metadata information for a handful of specific fields. Check Alison Taylor’s RootsTech 2017 presentation for more information about editing photo metadata. Using metadata, specifically IPTC metadata, is key for capturing the details of each picture. The reason to use IPTC metadata is that it is an industry standard; it can be read by many different photo management/editing programs. I currently use ACDSee Adobe Bridge as my primary photo management software. I find the multiple panels of the dashboard to suit me well and it is easy to add metadata, in batch and one photo at a time if needed. I save all my images in TIFF format. While TIFF is the recommended standard for archival quality images, in my experimentation with multiple photo management programs, applying metadata has been an inconsistent and buggy process. Thus, I decided to save as jpgs and I refrain from editing jpgs so as to avoid loss in photo quality. When I take pictures, my phone automatically backs up to Google Photos. Google Photos has its own subdirectory in my Google Drive account. This means I periodically need to go through the Google Photos subdirectory and move pictures to the directory I have established for my genealogy and family history files. I save ALL of my stuff in Google Drive – which is great because I have access to it across multiple devices. I make backups of my photos and genealogy files to an external hard drive. With this organization plan, not only do I feel much more equipped for finding and locating pictures when I need them; it also greatly helps my digital scrapbooking hobby too as my scrapbooking is largely chronologically-oriented. This is all part of my master plan to be ultra-organized with my genealogy files. I have so much more to do but I enjoy seeing it come together over time. I’m sure I’ll have more posts with updates in the future! Thanks Susan! If you are also organizing your photos I would love to know about your experiences. I’ve been working on my digital pictures as well. I think I’ve renamed everything at least three times while I try to find a naming convention that I like. 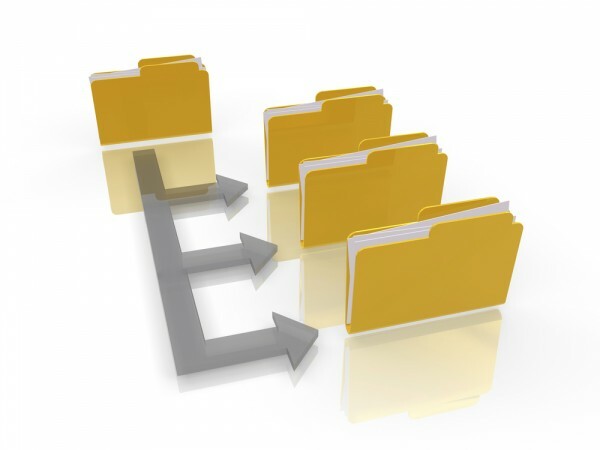 Do you worry about using spaces and the file path length with your file names? Thanks for this post Taneya and directing me to ACDSee. I have been shopping around for a product to replace Picasa for management of my digital images for some time so appreciated your recommendation. Having watched their video ACDSee sounds like the product for me. Purchase is a job on my list when I get to my computer tomorrow. Glad you find it helpful Jill! I like ACDSee – though, I do still use Picasa as well. You may want to try the trial version of it before you buy it but definitely look into it and see how you like it. Since spaces in file names do cause problems with internet servers and web pages, (they’re often replaced with %20% in the file name, instead of leaving a space to separate words/numbers, try an underscore, the horizontal line found above the hyphen on the key to the right of the 0 key at the top of the keyboard. Taneya, do you use ACDSee Photo Editor 10 or ACDSee Photo Studio Ultimate 2018? Both are good programs, but the latter lets you work with layers for non-destructive editing. There are several tutorials available on ACDSee’s youtube channel, for each of their programs. They also have free trial versions so you can try them out before buying to see which better meets your needs. Since these versions do differ in some of their features, I have both installed and use whichever better meets my immediate needs. Hi Art! I’m so pleased you commented! I enjoy reading your posts in the Facebook group. Yes, I am aware that spaces cause issues on servers and web pages, but if I upload a picture to a web server, I do remove them. The only ACD program I use is ACDSee 20. At this point, I don’t have a need for a standalone photo editor as I still use Picasa for that or I use PicMonkey (a web-based service). I definitely always practice non-destructive editing. Thanks for the suggestions!